What an exciting week this has been with Christmas in July beginning with fun, games, chats and projects. This is the first project that was released. It is designed by Gail Pan. It will eventually become a wall hanging. 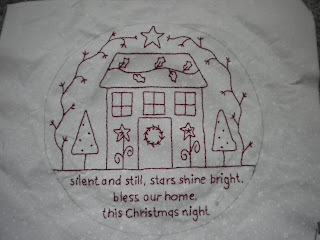 I am using different fabrics to what Gail used so I changed the thread colour to go with the fabrics from my stash. Because I got side tracked by Christmas in July I didn't finish Anttitude until yesterday. Instead of red and white in the original I have used cream and green for the checker board. The checker board took a while with all the seams to try and match. 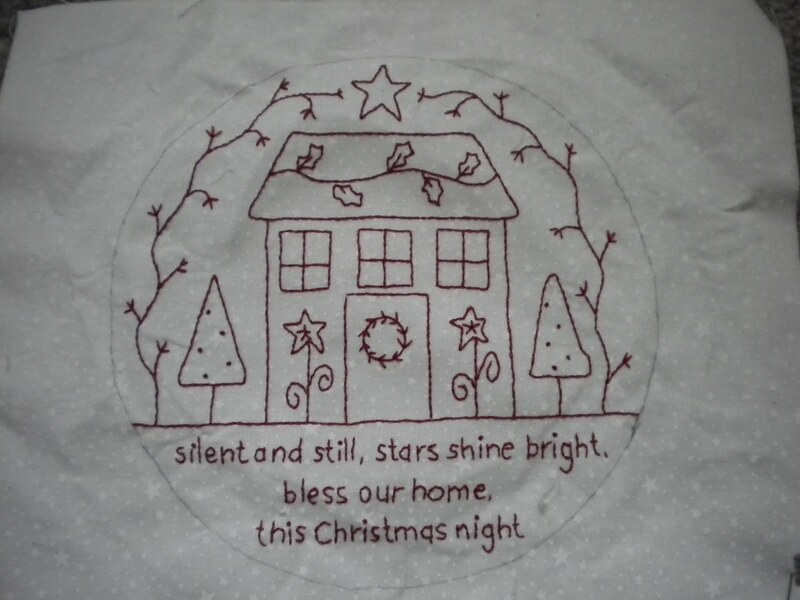 It will now go into the waiting to get professionally quilted pile. 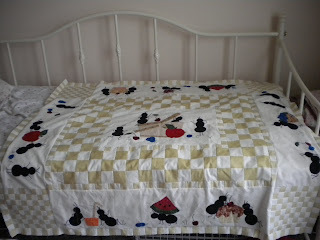 I will have to start putting some money aside to get some more of my quilt tops done. If only there was a money tree in the garden. You are so fast.... the stitchery looks so cute!!! Hi Kim, I´m María...do you remember me??. 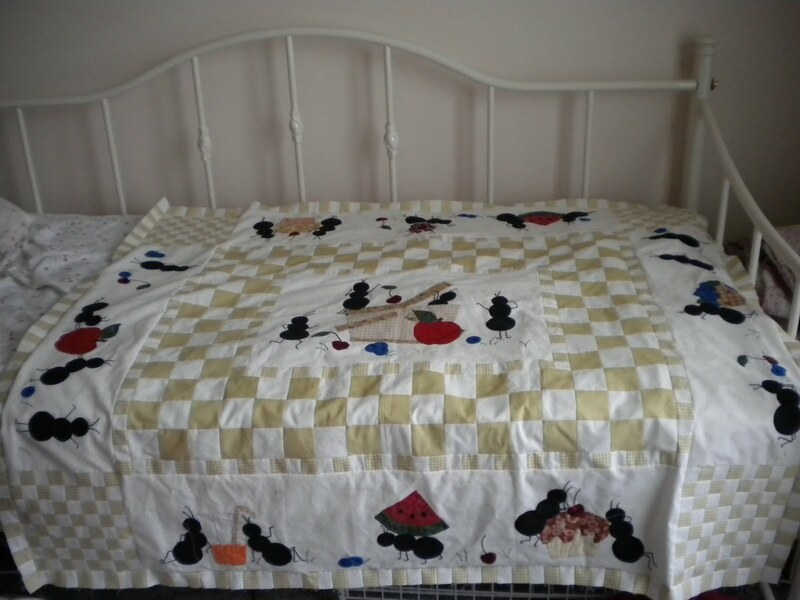 Your Anntittude quilt looks great!!!. I hope to see you soon in the chat.